You already have a crystal clear idea of how to plan your day? Just need to write it down? 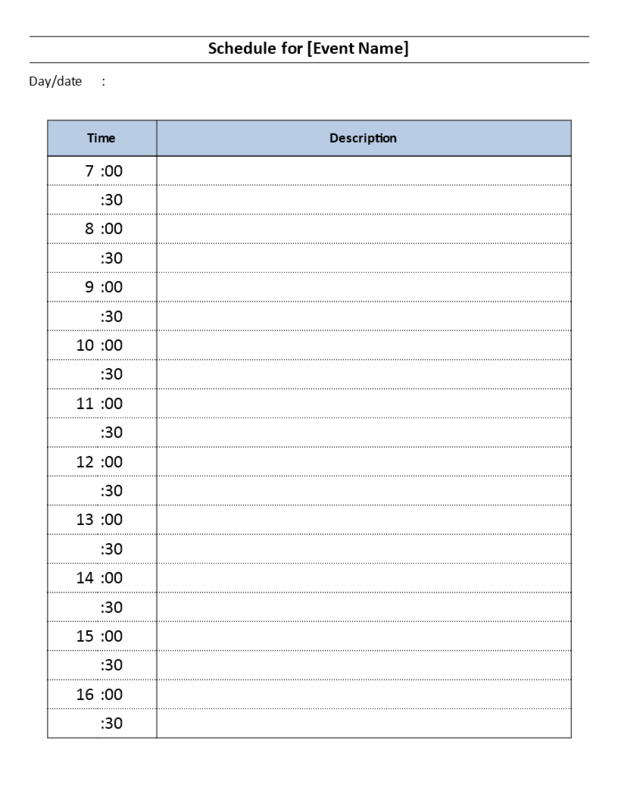 Download this Daily Event Schedule template now! In order to rapidly manifest your needs, you need to get clear on paper exactly what it is that you want and when you want to do it. This Daily Event Schedule template will help you become more productive by bringing structure to your activities in a professional manner! Our Daily Event Schedule templates are helping you to make you more productive and to reach the next level of success in your work, education, and business.